Grand Central Publishing, 9781455528455, 400pp. 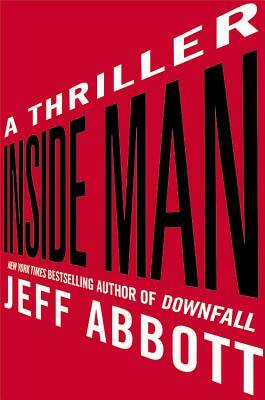 Following Adrenaline, The Last Minute, and Downfall, Jeff Abbott returns with the next riveting novel in the award-winning New York Times bestselling Sam Capra series. Sam Capra's friend Steve has been murdered, shot dead in the rain outside of his Miami bar. The only lead: a mysterious, beautiful stranger Steve tried to protect. To avenge his friend, Sam goes undercover into the Varelas, one of Miami's most prominent and dangerous families. Sam is relentlessly drawn into this family's intense drama, amplifying painful echoes of his own shattered relationships as a son, brother, father, and husband. And just when he thinks he understands why the family is self-destructing, he discovers a lethal secret so shocking that the Varelas cannot let him walk away alive . . .
"Abbott's Sam Capra series represents some of the finest writing on the market, and the fact that it's squarely in the thriller genre-which means the story is fast and intense, and the stakes are stratospheric-makes Abbott one of the best writers out there, as his "who's who" string of awards (Edgar, Thriller, Anthony, Agatha, Macavity) can attest to...With dead friends, mysterious women, snappy dialogue and clever twists, this is stellar work from an accomplished, sophisticated writer at the top of his game."